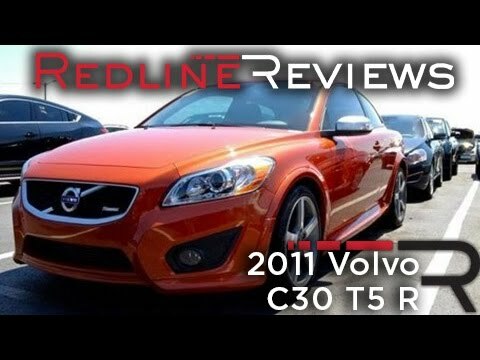 If you're looking for a stylish and seldom-seen premium two-door coupe, and you don't mind a hatchback design, the 2011 Volvo C30 makes an appealing choice. The Volvo c30 is strikingly beautiful without sacrificing reliability. My Volvo c30 has been very reliable over the years. The car is a 3 door: two doors and a hatchback. In the 7 years that I have owned it, I have not had a problem other than a dead battery once, which has little to do with the reliability of the vehicle itself. It has needed no repairs or part replacements. The performance is great. It has a 2. 5 liter, 5 cylinder transversely mounted turbo charged front (straight 5) engine that makes about 230 horsepower. The average mpg is 25 between the city and highways. While there is a little turbo lag, it has plenty of get up and go for a car weighing 2900 pounds. The unique design of the car grabs attention and I am always getting compliments on it. Mine is a rusty orange color, which I love and also makes it stand out. My particular model, the t5 r-design, is the highest trim level and has many nice features. It is very comfortable. The leather seats are plush and supportive. It has cruise control, Bluetooth connectivity for streaming music and handsfree calls while driving, electronically adjustable seats and mirrors, flashing brake lights, adjustable steering wheel, high quality sound system, keyless entry, and much more. My favorite feature of the car is the rather large moonroof that makes the small car feel very spacious. The car carries 4 people comfortably with enough space in the hatch to carry a weeks worth of groceries or gardening supplies home. The vehicle is a Volvo from 2016 it is on the small side. The car drives really smoothed it has proper safety measures. It is a little outdated being made almost 8 years ago and it has very little leg room. But it is a solid car. The seats are stiff but comfortable it is easy to put the seats down and the beeping to know when cars are near is very helpful. There haven't been many problems. I am very happy with my car. I enjoy my Volvo. It is safe, small, but provides enough room for whatever I need to bring due to the foldable back seats. Overall, I could not be happier with my vehicle. I hope my car will last me many years to come. It is definitely built to last.